What a wonderful year it has been here in Italy! So many new places visited and enjoyed to the full. Beginning in January, I headed off to Villabassa in the Italian Dolomites for a non-skier’s week. Next stop was Venice for a cultural experience in the form of a Walks of Italy tour of the Palazzo Ducale and Basilica of San Marco, where I experienced one of my highlights for 2015 in the shape of the original four bronze horses of San Marco. 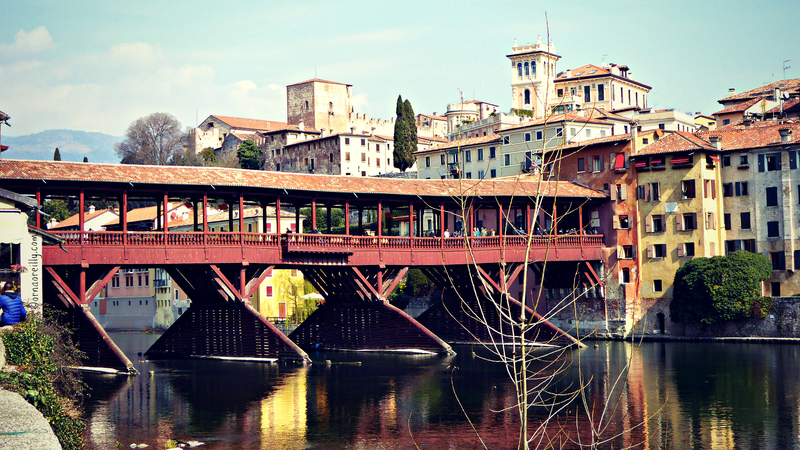 March heralded in visits to Bassano del Grappa to see Palladio’s fabulous bridge…. 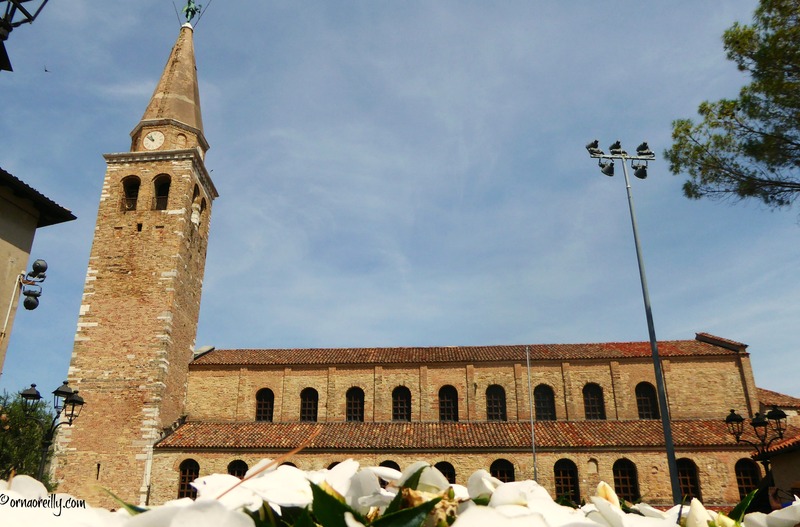 …followed by trips to Marostica, Montagnana and Ferrara. 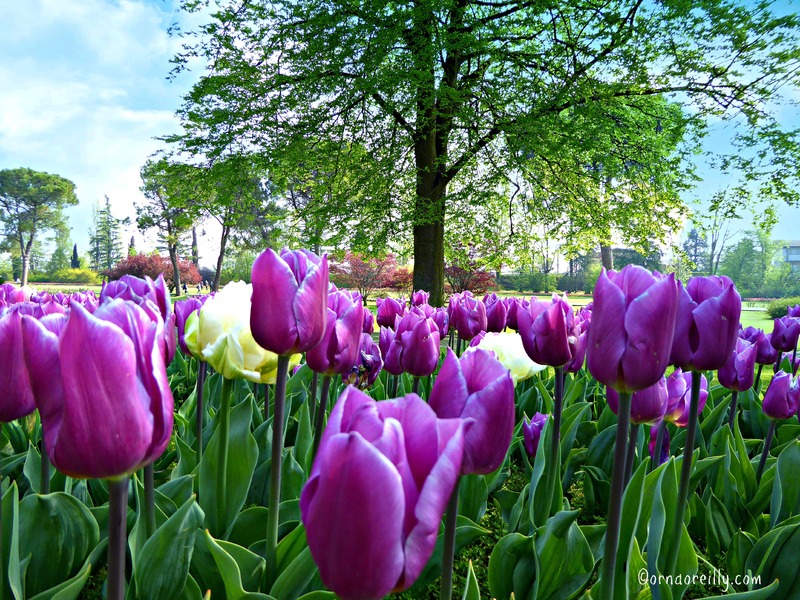 In April I visited Parco Giardino Sigurta to see one million tulips in bloom. Incredible! 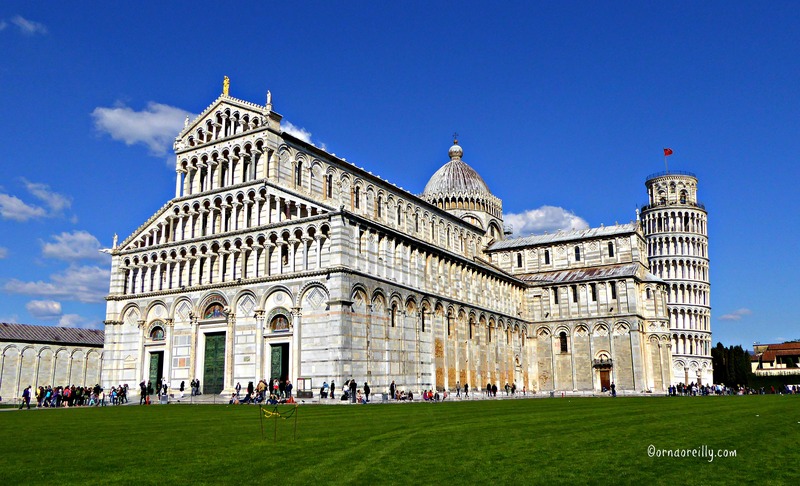 …….followed by a couple of days in Pisa in Tuscany. In May I was back in Venice to explore the secret passages and torture chambers beneath Palazzo Ducale. A fairly hair-raising experience! 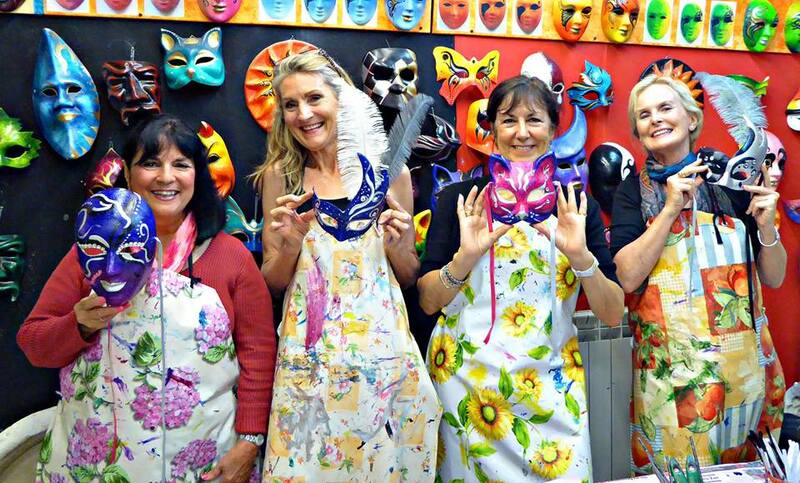 May also saw me meeting up with some fellow bloggers in Venice, where we visited a mask factory and were able to try our hand at this ancient craft. In June I lay on the beach in Lido di Jesolo, soaking up the rays, watching as the Frecce Tricolori swooped overhead. July saw a day in Grado in the Friuli-Venezia-Giulia. In August my son got married in Dublin, Ireland, so I spent two weeks in the Emerald Isle. While there, I visited luxurious Ashford Castle in County Mayo, where I was introduced to the ancient sport of falconry. We then walked on the quiet beaches and admired shapely Benbulben in County Sligo. Before August was over, I spent a few days in Castelluccio di Norcia in Umbria. Beyond beautiful. Another visit to Venice brought me to the colourful island of Burano. In early September I spent a week in Villabassa in the Italian Dolomites with fellow blogger Tom Weber, The Palladian Traveler, where we sampled many of the summer activities – and foods – of the area. 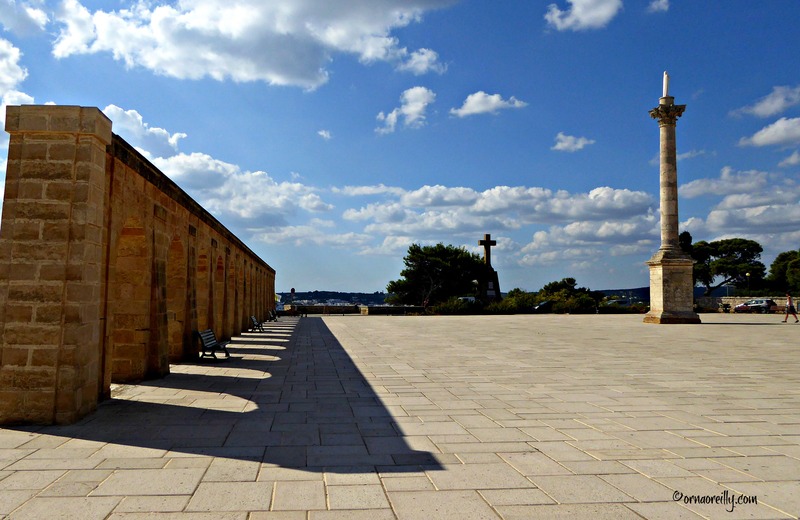 We were there as guests of Hotel Adler and had a wonderful time walking, cycling and eating! We then drove to Terni in Umbria as guests of GAL Ternano and visited Arrone, Amelia and the Marmore Falls. 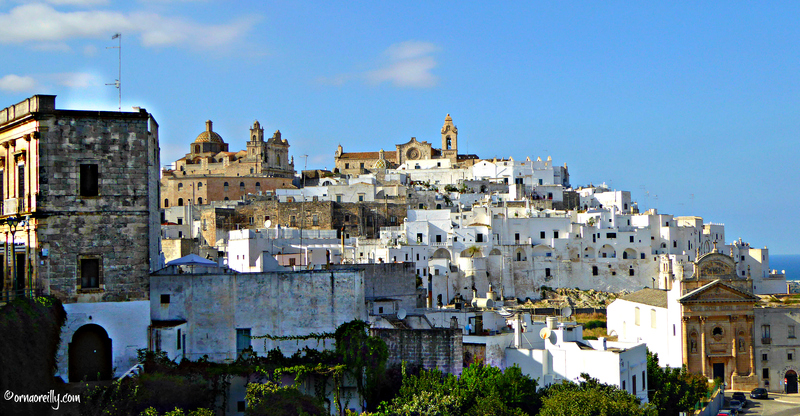 Next stop was Puglia, where we sampled the delights of Ostuni, Otranto, Santa Maria di Leuca and many places in between. 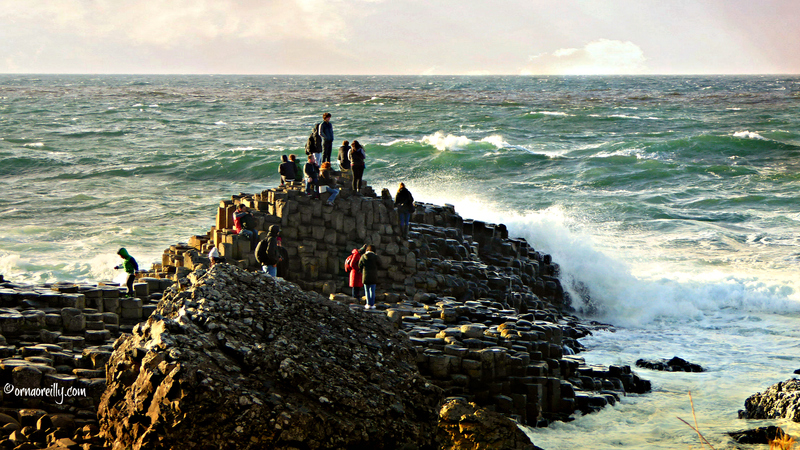 Back in Ireland in mid-October, we visited The Giant’s Causeway in Northern Ireland. In November we experienced a very chilly Venice when we joined in a boat tour and tower climb with fabulous views of the city and lagoon. 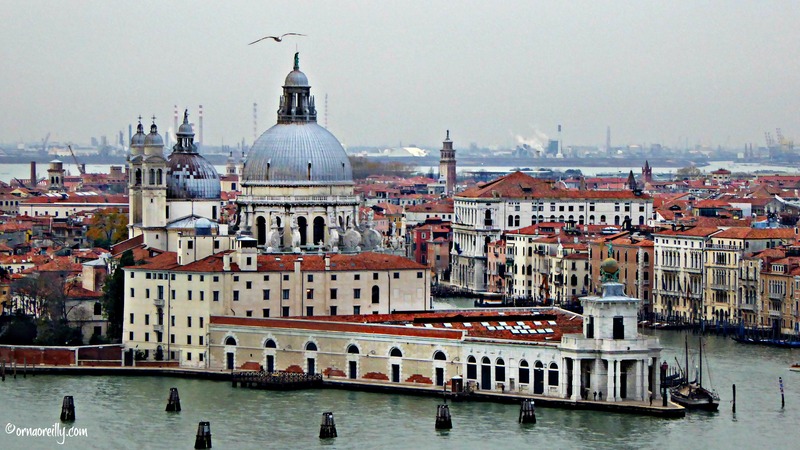 In December I headed over to Venice, yet again, for a wine tasting. I also took the opportunity to visit the Scuola di San Rocca. Magnificent! In between all these trips around Italy, I enjoyed spending a great deal of time in Vicenza, city of Palladio. And, of course, I live among the vineyards and olive groves in the beautiful Euganean Hills, just south of Padova. Then to Rome for Christmas. A perfect ending to a wonderful Italian (and slightly Irish) 2015………. Orna — You sure experienced a year that most people would envy. Great photos! I didn’t get in at the beginning, but I’ve enjoyed the journey so far and look forward to more. Happy 2016, Orna. Orna – You had a very full year that looks so enjoyable! 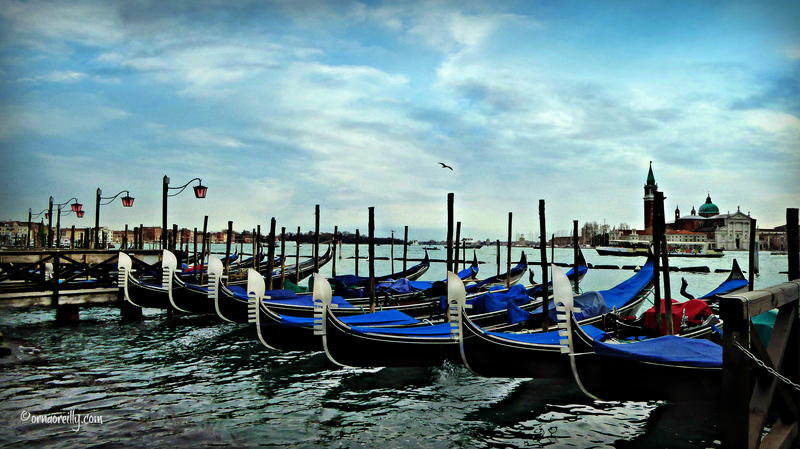 Thank you for sharing the photos of your travels..I am so happy we had the chance to meet and spend that day together in Venice!! Felice anno nuovo! Our adventures must collide in 2016, Orna! I can think of plenty of things in Friuli that you would love to see and do. We’ll be in touch!